Choosing a Content Management System (CMS) is an important decision that can have huge repercussions for your website. There is a number available, each with their own pros and cons, and fanatical fanbases pulling for their chosen platform. That being said, there are two platforms that stand out among the pack that can be directly compared: WordPress vs Joomla. Both platforms are renowned for their ease-of-use, extensive customization opportunities, and active communities. While WordPress and Joomla have their respective pros and cons, they can both be employed to build modern, feature-filled sites – so how are you supposed to choose which one is right for you? Don’t worry! We’re here to help you by comparing both platforms in four adrenaline-filled rounds (we might be exaggerating a bit here) to determine which one reigns supreme. Without further ado, let’s get started with WordPress vs Joomla! The basic difference between WordPress and Joomla is that Joomla started out as a CMS meant to serve portal-like websites, while WordPress was originally a blog-focused platform. These days, however, both WordPress and Joomla are perfectly capable to run any type of website. From a technical point of view, both WordPress and Joomla aren’t stand-alone pieces of software – they only work when installed on a web server. 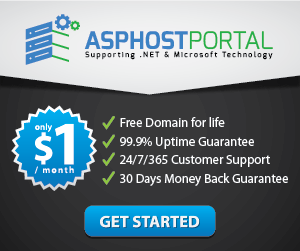 This is usually a web server that you get from a third-party company, such as ASPHostPortal. If you want to build a website, the key aspect to think about is how comfortable you are with web software configuration, working with servers, and dealing with technical aspects of the process in general. Traditionally, Joomla is more geared towards developers who aren’t afraid to “get their hands dirty” working with servers. 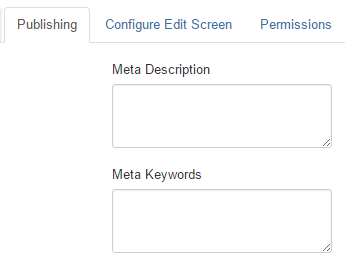 WordPress, on the other hand, is more beginner friendly and uber-easy to get started with. Joomla, on the other hand, doesn’t give you this sort of a hands-free approach. The hosts that do allow Joomla don’t usually have those custom installation processes, meaning that you’ll have to do most things on your own. That being said, the true SEO capabilities of either platform aren’t readily apparent unless we take a look at the plugins or extensions available for the task. On WordPress’ side, we’ve got the incredibly popular Yoast SEO plugin – it’s powerful, offers lots of features, and best of all anyone can get to grips with it in a matter of minutes. Yoast categorizes your SEO score in different areas using a traffic light system of red, yellow, or green colors. Furthermore, the plugin tells you exactly how to improve your score in each area – and if that wasn’t enough, it also rates your post’s readability. During our testing, we found Easy Frontend SEO (EFSEO) to be the best Joomla equivalent to Yoast. It enables you to carry out many of the same tasks – such as editing your meta information – directly on the front end of your site, and also includes a handy automatic mode for generating this data without your input. However, it’s clear that as handy as EFSEO is, it’s no match for Yoast. Due to this, round one of WordPress vs Joomla goes to WordPress. When it comes to security, any system is only as strong as its weakest link – so the question is: which platform is more secure out of the box? Due to its popularity, WordPress has a giant target on its back when it comes to security vulnerabilities. Each WordPress install is unique thanks to the thousands of plugins (there’s a plugin for everything, from making charts to using pig latin) and themes available for the CMS. While this is a definite positive, it’s also a nightmare from a security standpoint – it’s impossible to make sure that every plugin employs proper safety standards, and remains compatible with newer versions of the platform. Moreover, WordPress doesn’t ship with basic features such as forcing a Secure Socket Layer (SSL) connection on its dashboard – you need to modify its core files to enable it – or Two-Factor Authentication (2FA). In fact, most of its advanced security features rely entirely on plugins. On the other hand, Joomla ships with both an option to force connections over SSL and another one for 2FA. In addition, it offers its own set of security extensions, and its developers maintain a list of those extensions with known vulnerabilities. Round two of WordPress vs Joomla goes to Joomla. We’ve already covered some ground when it comes to WordPress plugins and Joomla extensions. Both CMSs have their own roster of plugins for the most conceivable of use cases – although WordPress wins hands down due to sheer number. While the latter offers just as many features as its WordPress counterpart, the former provides a better experience overall. Moving on, when it comes to customizing your site’s style there are WordPress themes on one side and Joomla templates on the other, and the same story repeats itself here as with plugins. Not only is it easier to find high-quality WordPress themes, but they also often offer a higher level of support and a mostly better experience. Round three goes to WordPress. Both WordPress and Joomla are complex CMSs, enabling users to create and manage just about any type of website. Although WordPress is often associated with simple blogs, it’s also a great solution for landing pages and even more complex sites. On the other hand, Joomla is renowned for its complexity – although it does offer some fantastic documentation. A site built with Joomla can evolve into anything it wants, but the learning curve is much steeper for users with no experience in web development. Despite being equal when it comes to sheer potential, it’s fair to say that WordPress enables its users to manage their content with relative ease. Anyone can install the platform and pick up how to create posts, pages, or custom post types within minutes, whereas Joomla is less forgiving. Taking all of this into consideration, we must award the final round of WordPress vs Joomla to the former, which gives the overall contest to WordPress! In some ways, Joomla is more flexible than WordPress. It offers an incredibly customizable system that can take almost any shape you want, and it enables you to implement a lot of small customizations without relying on extensions. However, between WordPress vs Joomla, there can only be one winner, and the crown must go to WordPress. It beats out Joomla when it comes to SEO, customization possibilities, and content management – so the choice is clear. Furthermore, WordPress is just plain simpler to pick up for new users, and its popularity gives it the added edge of providing users with a better support structure – it’s the cherry on top of the WordPress sundae. If you’re looking for an affordable WordPress host with easy-start features, check out ASPHostPortal.